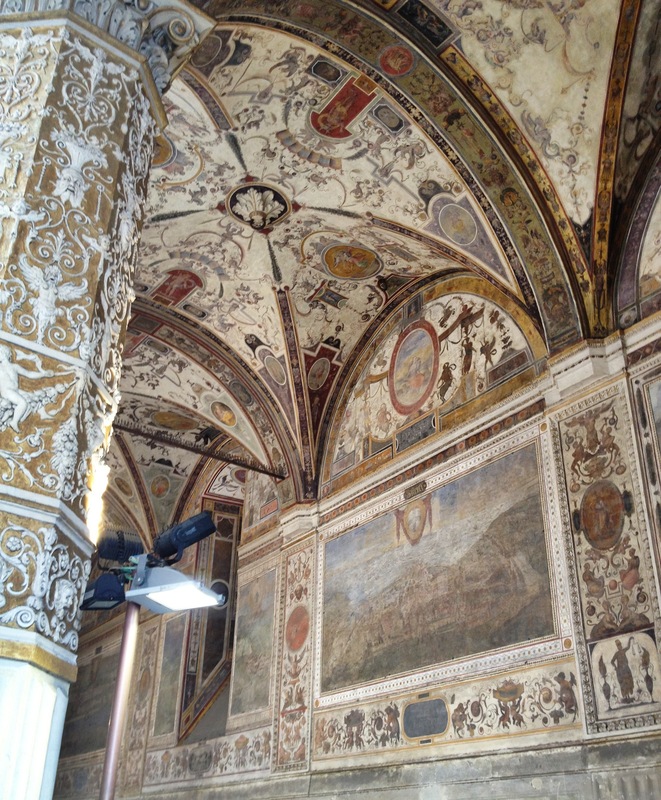 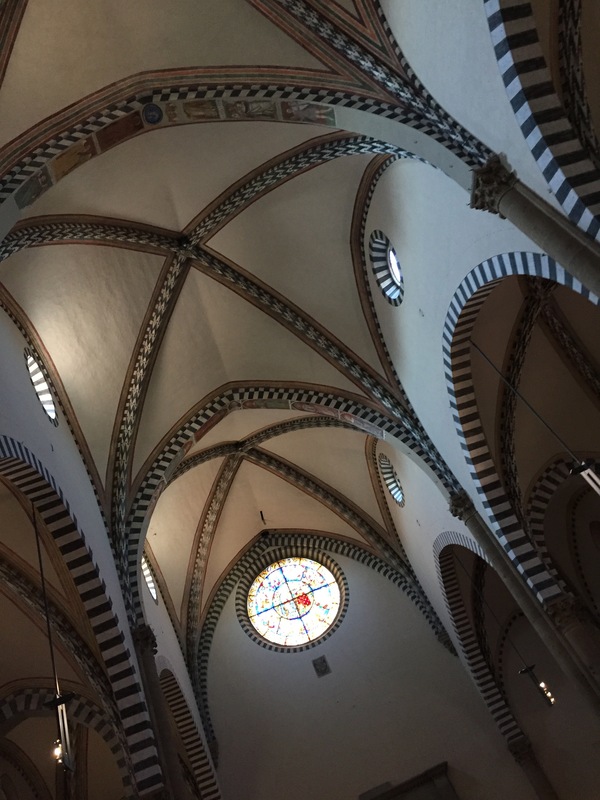 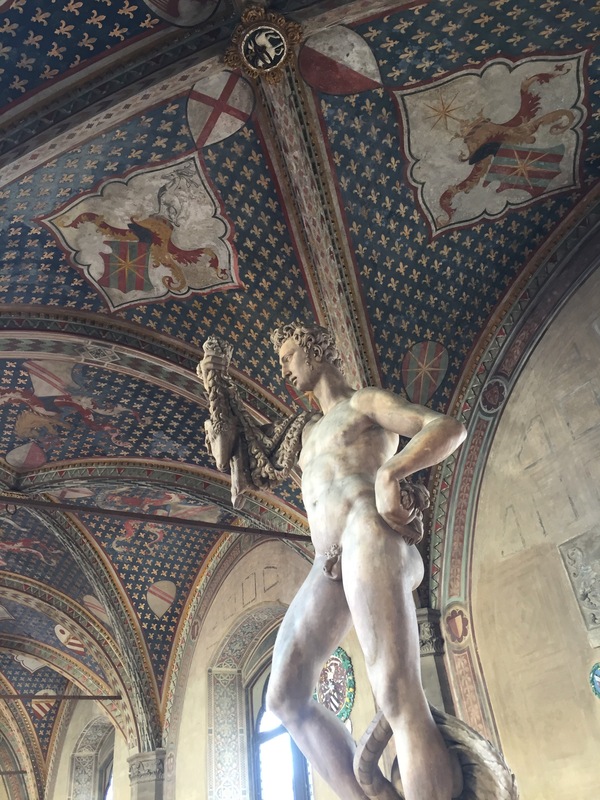 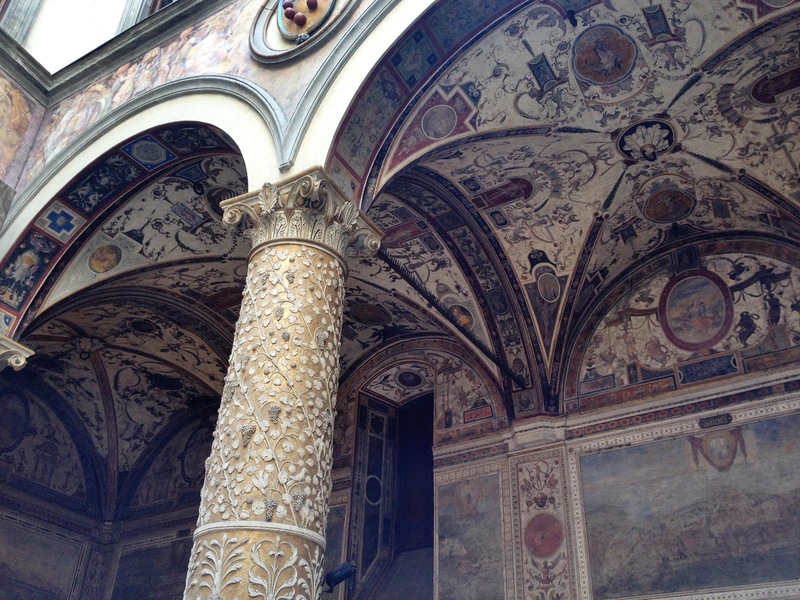 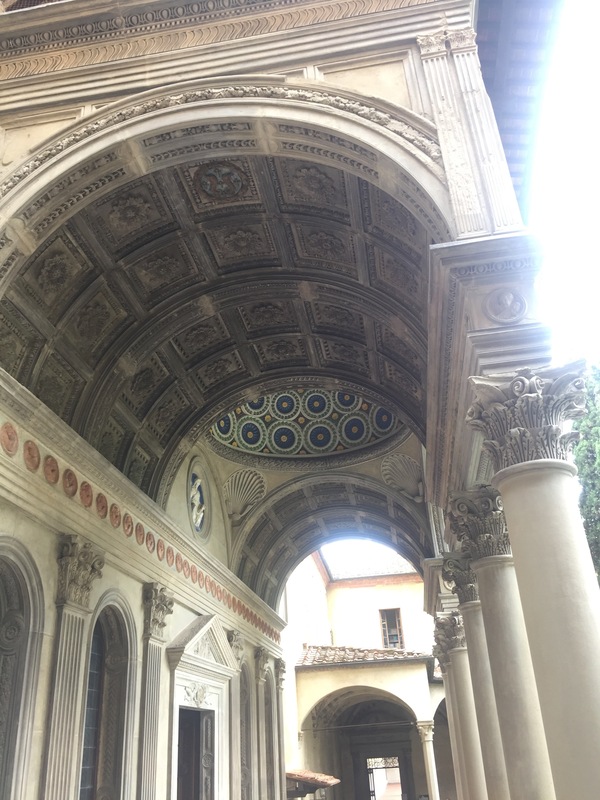 For this week’s post, I am sharing some of my favorite architecture so far in Florence. 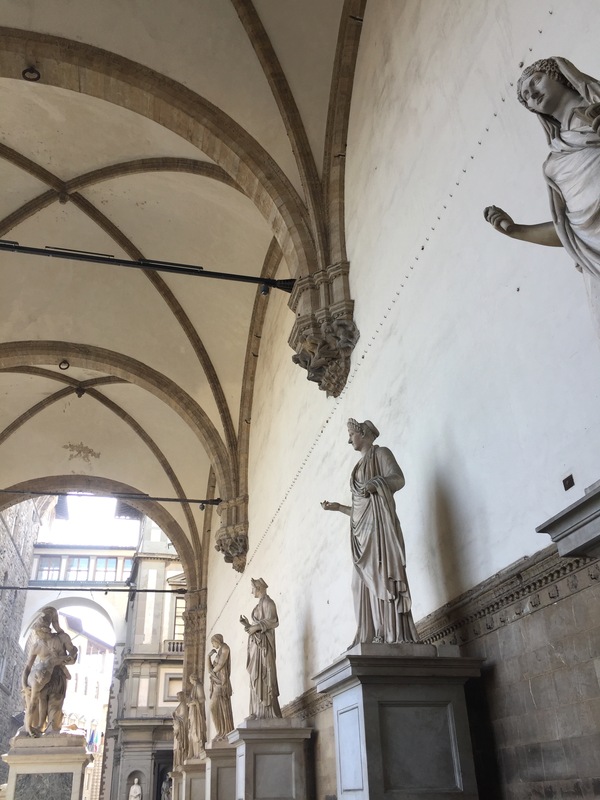 As I mentioned in our collaborative post, after first arriving we heard advice from local Florentines saying “in Florence always look up.” The city has layers and layers of history which are evident throughout the streets and buildings, telling a story of the people who used to live here and the movements which took place, sweeping through the city. 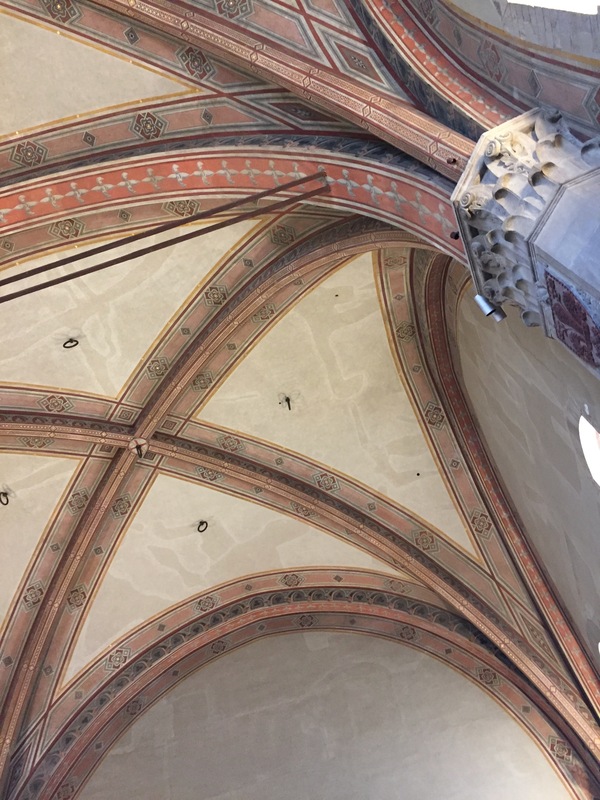 Examples of this history can be found in details all over, many of which might be missed if you don’t look up. 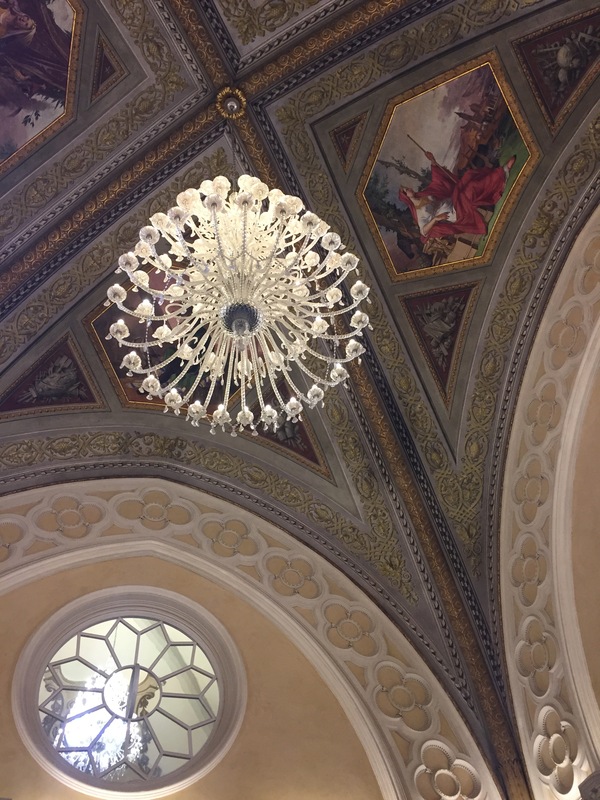 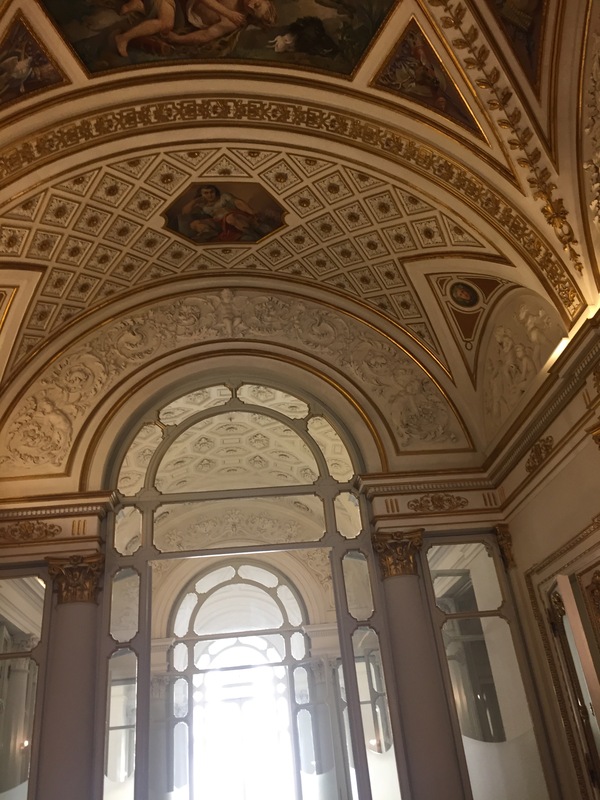 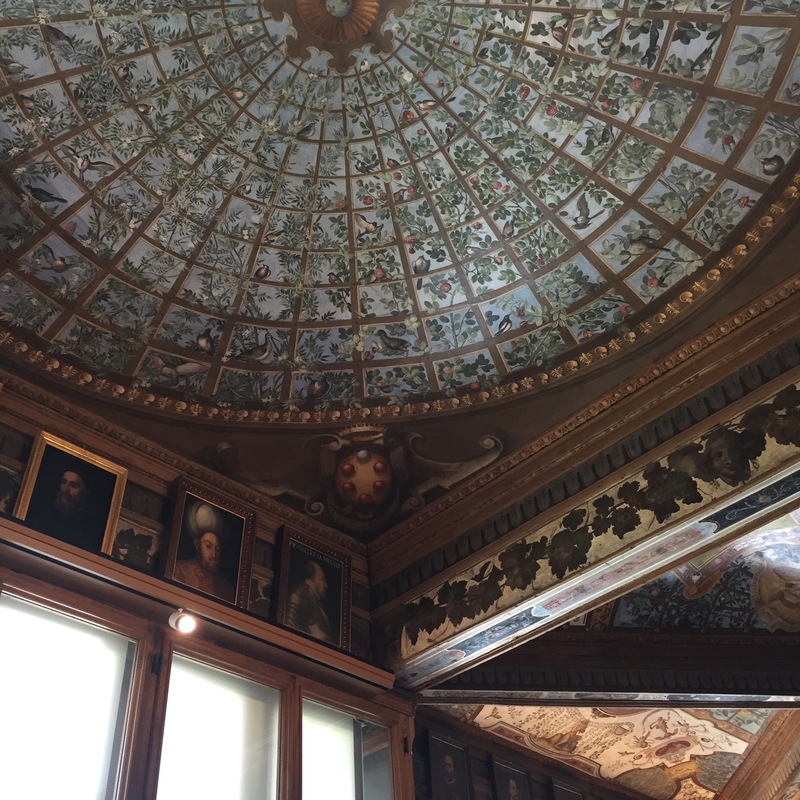 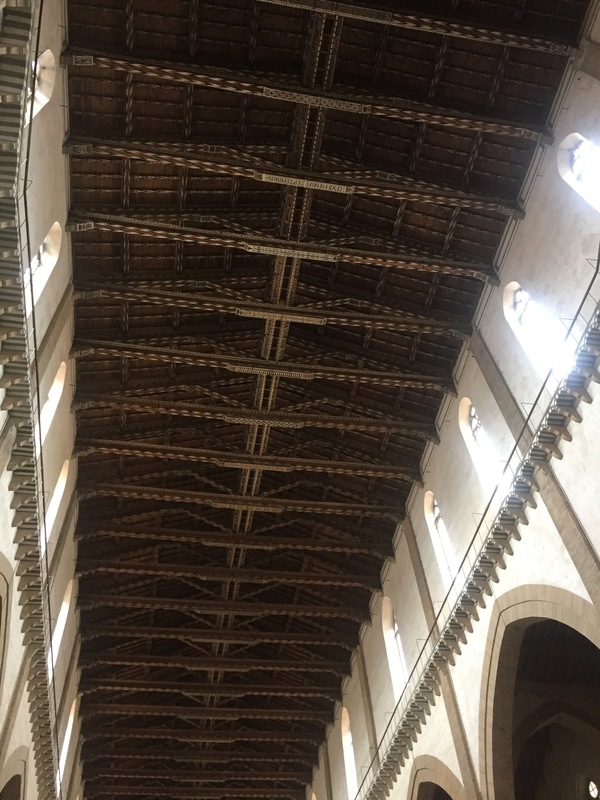 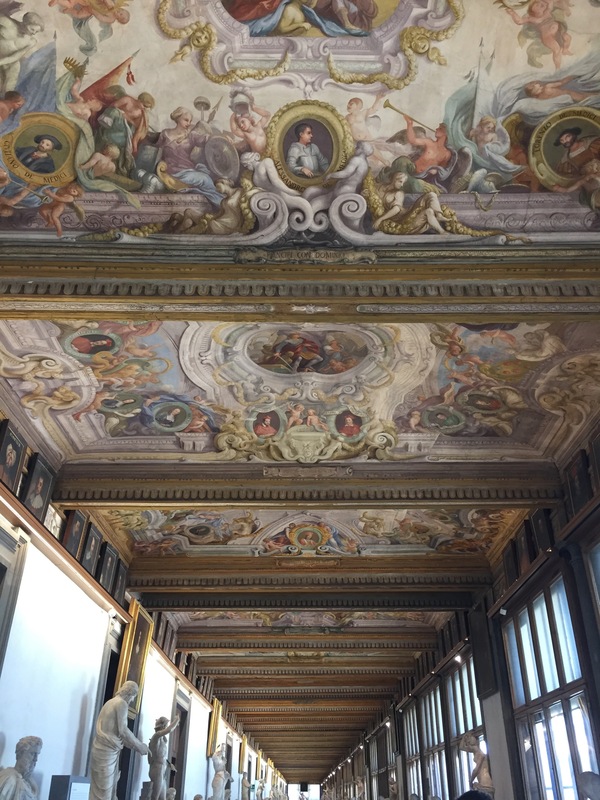 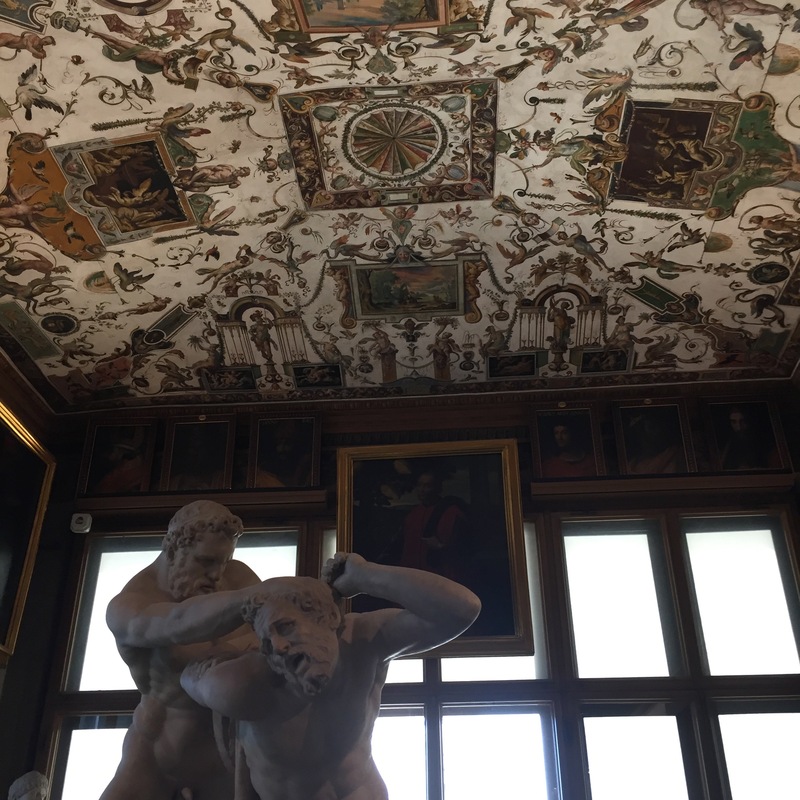 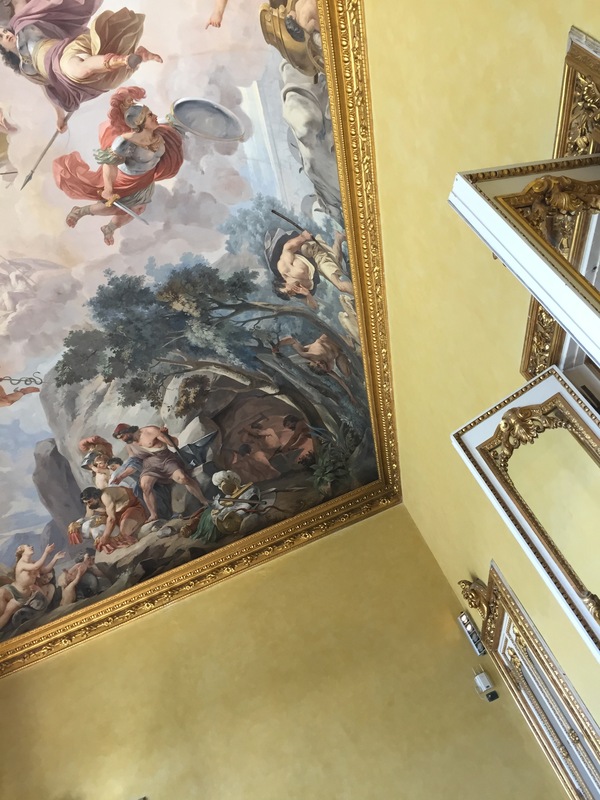 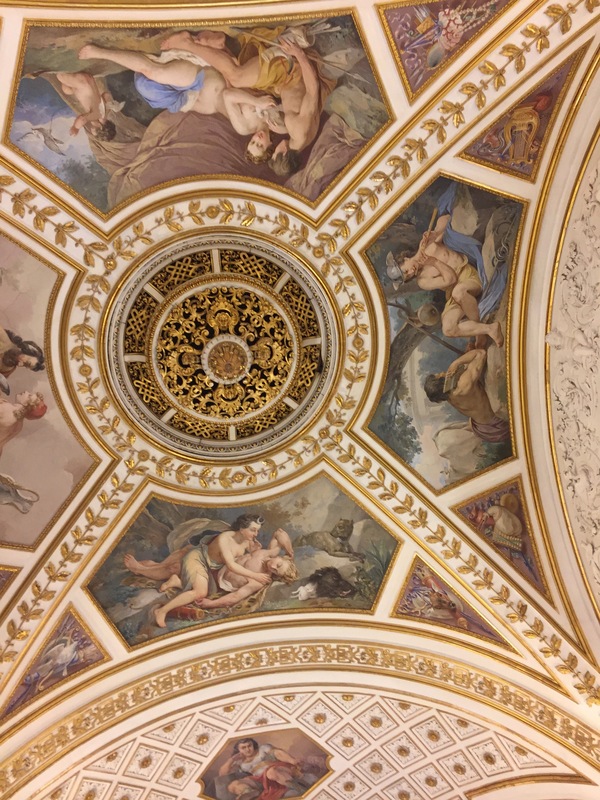 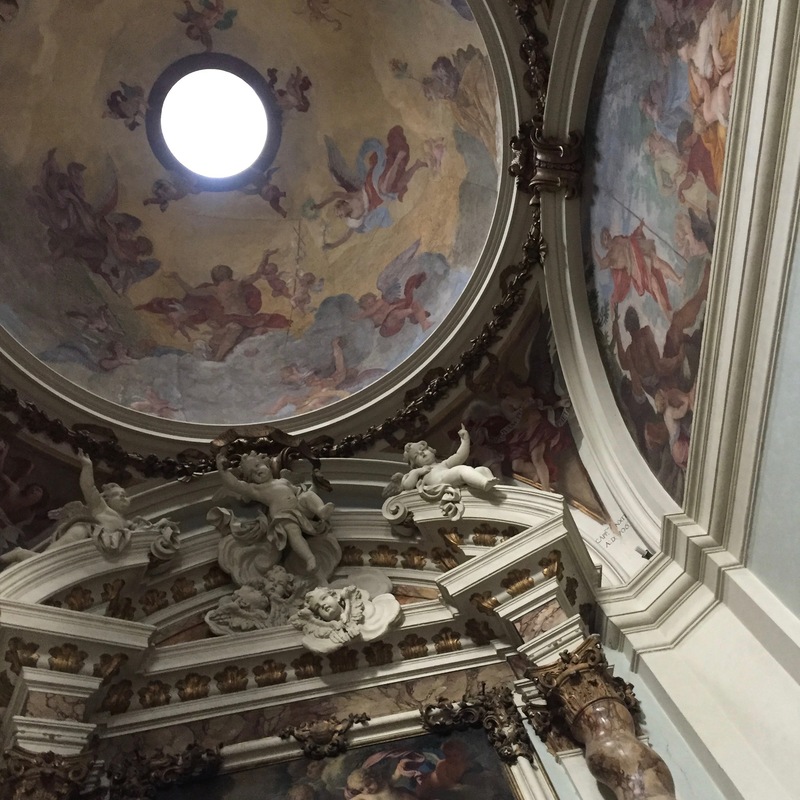 Below I have collected pictures of beautiful ceilings from all over Florence, where the beauty is so overwhelming and consuming. 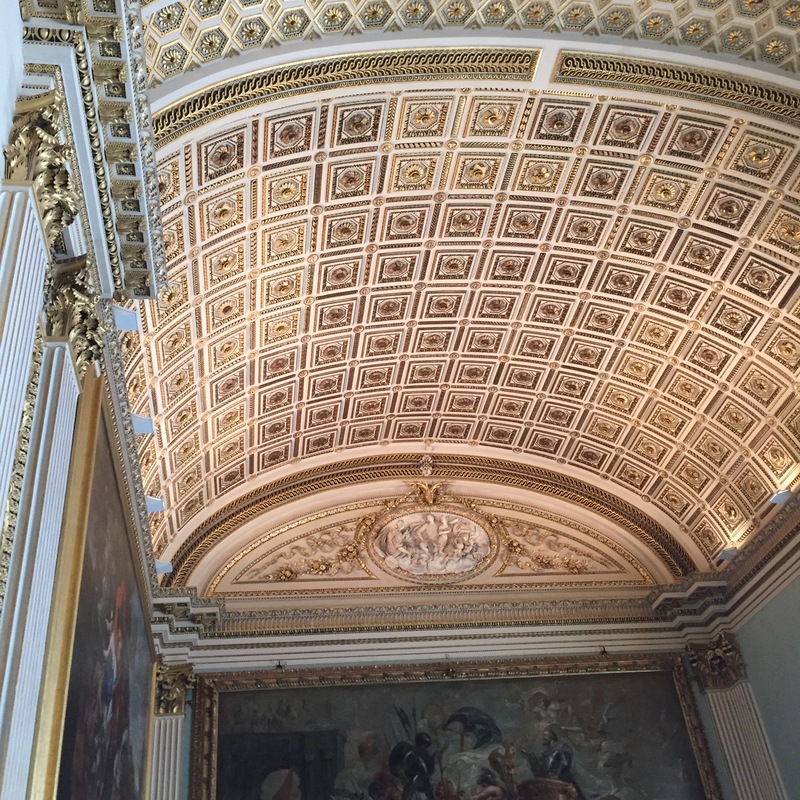 A key factor in creating this ambiance is the ceiling and how it contributes to completely immersing you into the environment.